Our Intense Pulsed Light (IPL) system is one of the newest on the market and it combines RadioFrequency (RF) together with high powered IPL and a unique cooling system, so it allows us to deliver state of the art hair removal that has long lasting results and the treatment is virtually painfree. 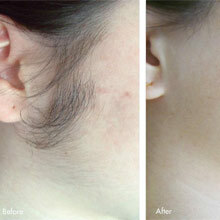 Like to discuss hair Removal treatments? 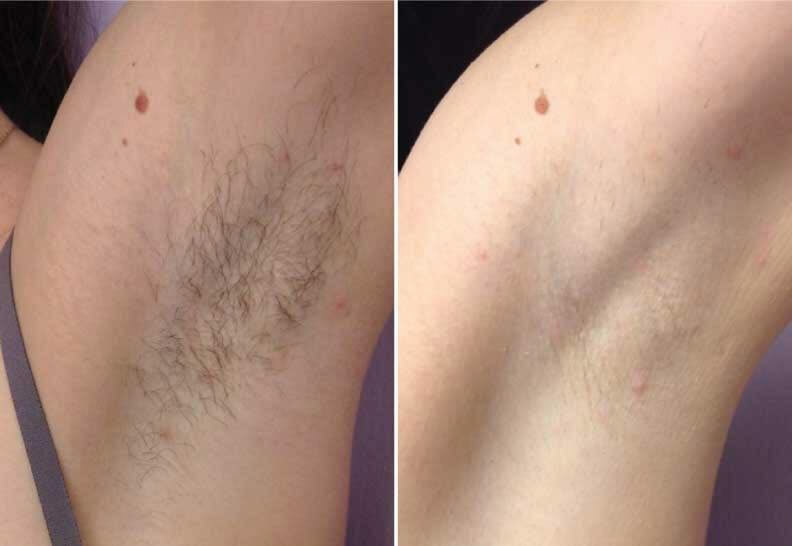 Our hair removal is as popular with men as it is with women. 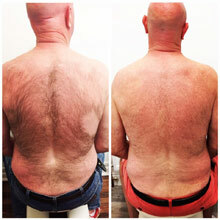 Our treatment system is especially popular with men wanting to remove unwanted hair on their backs, shoulders or chests as the treatment is virtually painless and our IPL machine is able to cover large areas making the treatment time very fast. As well as being painfree our permanent IPL hair removal system offers fast treatment times, so with even after large areas being treated in under an hour, after treatment you can get on with your day as normal. 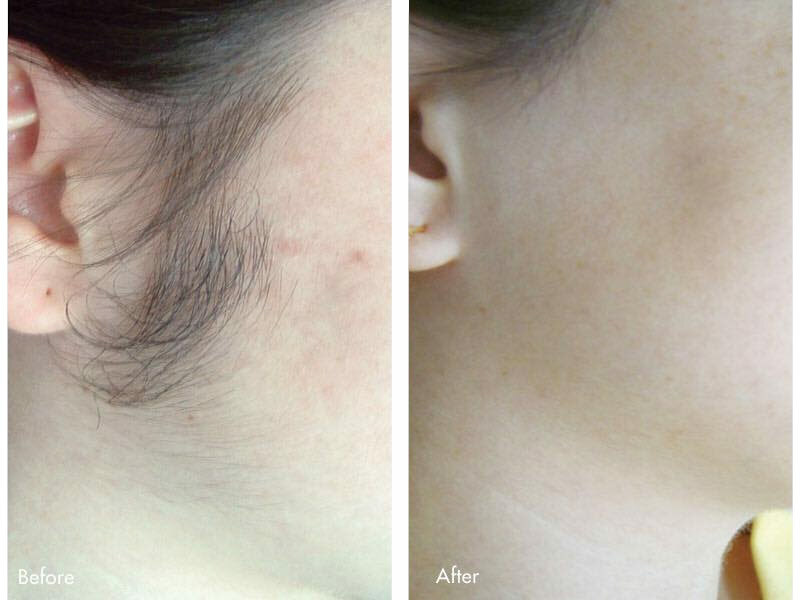 As with all laser and light based hair removal treatments, a course of treatments will be necessary to achieve the best permanent hair reduction, however most clients are delighted to see a noticeable reduction in hair growth after just 1 or 2 sessions. See our prices for laser and IPL hair removal. We believe that they are the best in Southampton and Hampshire for quality treatment. Also check our special offers page for any promotions we may be running. Below we've provided examples of recent treatments including before and after images. Click on any image to view full screen.